Over 50 million Americans have experienced tinnitus or head noises, which is the perception of sound without an external source being present. About one in five people with tinnitus have bothersome tinnitus, which distresses them and negatively affects their quality of life and/or functional health status. Those individuals with persistent and bothersome tinnitus will often seek medical care. Tinnitus may be an intermittent or continuous sound in one or both ears. Its pitch can go from a low roar to a high squeal or whine, or it can have many sounds. Persistent tinnitus is tinnitus that lasts more than six months. Before any treatment, it is important to undergo a thorough examination and evaluation by your otolaryngologist (ENT doctor) and audiologist. An essential part of the treatment will be your understanding of tinnitus and its causes. Tinnitus is commonly defined as hearing a sound in the absence of external sounds. Tinnitus is not a disease in itself but a common symptom, and because it involves the perception of sound or sounds, it is commonly associated with the hearing system. In fact, various parts of the hearing system, including the inner ear, are often responsible for this symptom. At times, it is relatively easy to associate the symptom of tinnitus with specific problems affecting the hearing system; at other times, the connection is less clear. Most tinnitus is primary tinnitus, where no cause can be identified aside from hearing loss. Secondary tinnitus is associated with a specific underlying cause that may be treatable. Your doctor will help you distinguish whether your tinnitus is primary or secondary. Most of the time, the tinnitus is subjective—that is, the tinnitus is heard only by the individual. Rarely, tinnitus is “objective,” meaning that the examiner can listen and hear the sounds the patient hears. Tinnitus may be caused by different parts of the hearing system. The outer ear (pinna and ear canal) may be involved. Excessive ear wax, especially if the wax touches the eardrum, causing pressure and changing how the ear drum vibrates, can result in tinnitus. Middle ear problems that cause hearing problems can also cause tinnitus. 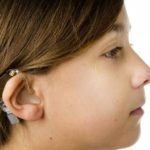 These include common entities such as middle ear infection and uncommon ones such as otosclerosis, which hardens the tiny ear bones or ossicles. Another, rare, cause of tinnitus from the middle ear that does not result in a hearing loss is muscle spasms of one of the two tiny muscles in the ear. In this case, the Tinnitus can be intermittent and at times, the examiner can also hear the sounds. Most subjective tinnitus associated with the hearing system originates in the inner ear. Damage and loss of the tiny sensory hair cells in the inner ear (that can be caused by different factors such as noise damage, medications, and age) may be commonly associated with the presence of tinnitus. One of the preventable causes of tinnitus is excessive noise exposure. In some instances of noise exposure, tinnitus can be noticed even before hearing loss develops, so it should be considered a warning sign and an indication of the need for hearing protection in noisy environments. Medications can also damage inner ear hair cells and cause tinnitus. These include both non-prescription medications such as aspirin and acetaminophen when taken in high doses, and prescription medication including certain diuretics and antibiotics. As we age, the incidence of tinnitus increases. Tinnitus may also originate from lesions on or in the vicinity of the hearing portion of the brain. These include a variety of uncommon disorders including vestibular schwannoma (acoustic neuroma) and damage from head trauma. A particular category is tinnitus that sounds like one’s heartbeat or pulse, also known as pulsatile tinnitus. Infrequently, pulsatile tinnitus may signal the presence of cardiovascular disease or a vascular tumor in the head and neck or the ear. If experiencing this type of tinnitus, it is advisable to consult a physician as soon as possible for evaluation. There are some non-auditory conditions and lifestyle factors that are associated with tinnitus. Medical conditions such as temporomandibular joint arthralgia (TMJ), depression, anxiety, insomnia, and muscular stress and fatigue may cause tinnitus, or can contribute to worsening of existing tinnitus. When you are evaluated for tinnitus, the first thing the doctor will do is obtain a complete history, investigating potential causative factors, and perform a thorough, targeted physical examination. If the tinnitus is one-sided (unilateral), associated with hearing loss, or persistent, an audiogram (hearing test) should be obtained early in the evaluation. You may opt for an audiogram in any case. There is no need for radiologic testing (X-rays, CT scans or MRI scans) unless your tinnitus is unilateral, pulsatile, or associated with asymmetric hearing loss or neurological abnormalities. Your doctor will try to determine how bothersome your tinnitus is, by asking certain questions or having you complete a self-assessment questionnaire. Although there is no one ‘cure’ for tinnitus, there are several options available that can help patients with tinnitus. If you are in the ‘new onset’ period of tinnitus (less than six months), you can be reassured that, for many, the natural course of tinnitus is to improve over time and most people do not go on to have persistent, bothersome tinnitus. If the otolaryngologist finds a particular cause for your tinnitus, he or she may be able to offer specific treatment to eliminate the noise. This may include removal of wax or hair from the ear canal, treatment of middle ear fluid, treatment of arthritis in the jaw joint, etc. Some patients with hearing loss and tinnitus have a modest improvement in coping with the tinnitus using hearing aids with or without built-in ear-level maskers. Sound therapies that involve simple things like background music or noise or specialized ear level maskers may be a reasonable treatment option. The effects of tinnitus on quality of life may be improved by a course of counseling with cognitive-behavioral therapy (CBT), which usually involves a series of weekly sessions led by a trained professional. Tinnitus can be so bothersome that it causes depression or anxiety; additionally, in a patient with depression and/or anxiety, it may be tough to tolerate the additional burden of tinnitus. Consultation with a psychiatrist or psychologist with treatment directed to the underlying condition can be beneficial. Routine prescription of medications including antidepressants, anticonvulsants, anxiolytics, or intratympanic injection of medications, is not recommended for treating tinnitus without an underlying or associated medical problem that may benefit from such treatment. Dietary supplements for tinnitus treatment are frequently advertised on the internet, television and radio. There is no evidence that any of these supplements, including Ginkgo biloba, melatonin, zinc, lipoflavenoids, and vitamin supplements are beneficial for tinnitus. Acupuncture may or may not be helpful in tinnitus; there are not enough quality studies of this treatment for tinnitus to make a recommendation. Transcranial magnetic stimulation is a new modality, but it cannot be recommended for tinnitus at this time, as long-term benefits are not proven. Not usually. In rare cases of “objective tinnitus,” others may be able to use a special in-the-ear microphone to hear your tinnitus. WHY IS MY TINNITUS SO LOUD AT NIGHT? Tinnitus is a sound that is ‘masked’ by external sounds such as office or traffic noise, TV or radio, etc. It is also not perceived when the brain is busy elsewhere – such as at work. At night, when external sounds are minimal, and the brain is not focused on something else, tinnitus often sounds much louder and becomes more bothersome. In general, use of a sound generator at night is very helpful in decreasing the disturbance of tinnitus. If tinnitus is interfering with sleep, you should inform your doctor. It is relatively rare but not unheard of for patients under 18 years old to have tinnitus as a primary complaint. However, it is possible that tinnitus in children is significantly under-reported, in part because young children may not be able to express this complaint. Also, in children with a congenital sensorineural hearing loss that may be accompanied by tinnitus, this symptom may be unnoticed because it is something that is constant in their lives. In fact, they may habituate to it; the brain may learn to ignore this internal sound. In pre-teens and teens, the highest risk for developing tinnitus is associated with exposure to high-intensity sounds, specifically listening to music. In particular, virtually all teenagers use personal MP3 devices, and nearly all hand-held electronic games are equipped with ear buds. It is difficult for a parent to monitor the level of sound exposure to children using these devices. Therefore, the best and most effective mode of prevention of tinnitus in children is proper education on the risks of excessive sound exposure in combination with proper monitoring by parents or other caregivers. Limits on the maximum volume output can be programmed into many electronic devices.